Hi, I released Pokemod v1.8.1. This is the update for all the skins. The documentation has been updated, too. V-slopes of envelope sliders are now visually displayed. Just drag left and right to morph the curve. When in linear or quad, there’s a small “Locked” icon shown. Now there’re “Pan” and “Vol” labels. No confusing any more. Using 2 colors like normal VCFs made it visually better. And “12dB” button is now vertical. Small but important enhancement. “C.Slop” and the random cutoff button behaves correctly. 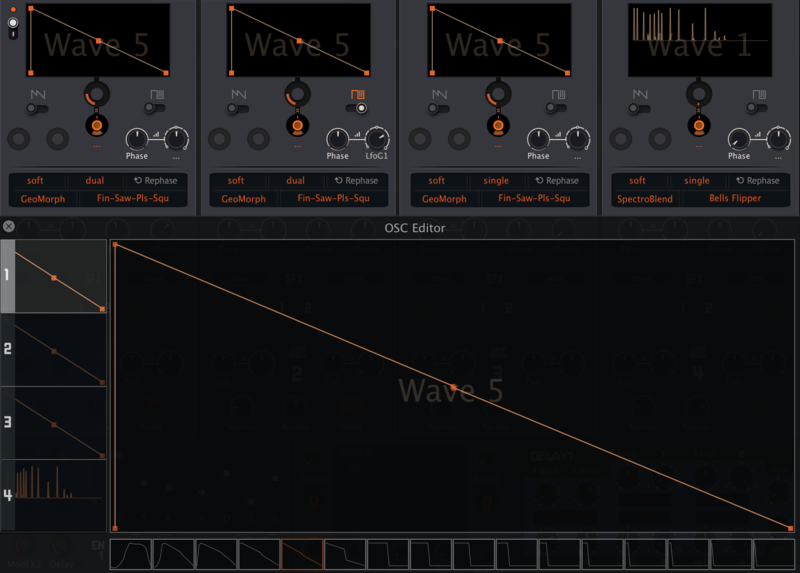 Big OSC editor got better. 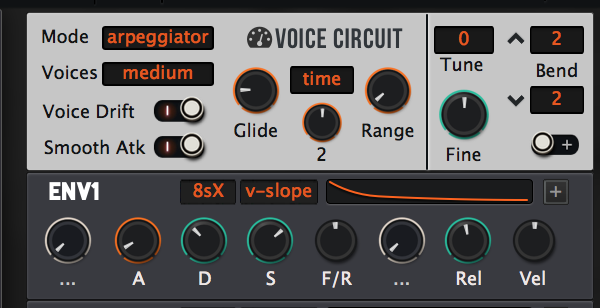 it takes less clicks to move between one OSC and another. 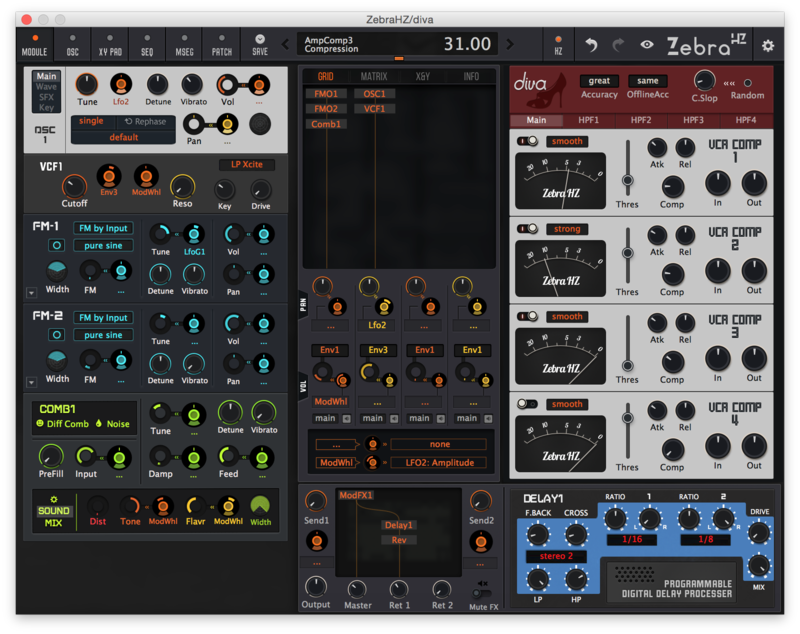 In the previous version of HZ skins and Platinum, Check “selected on top” in the right rack caused crash. 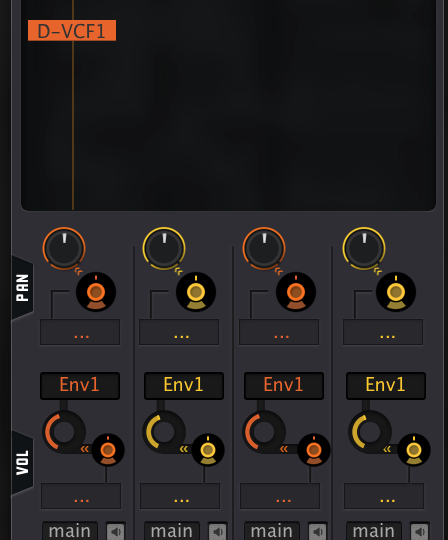 The reason for this was the modules I added (Diva module in HZ, VoiceCircuit module in Platinum). System : ENV2 is selected! Let him move on top! where’s he? Diva : I’m diva. I’m layer No.FFFFFF and always here. I am anything and everything. ENV2 : Hi! I’m here! Let me on top! Diva : Don’t ignore me. I’m here. I’m everything and anything. 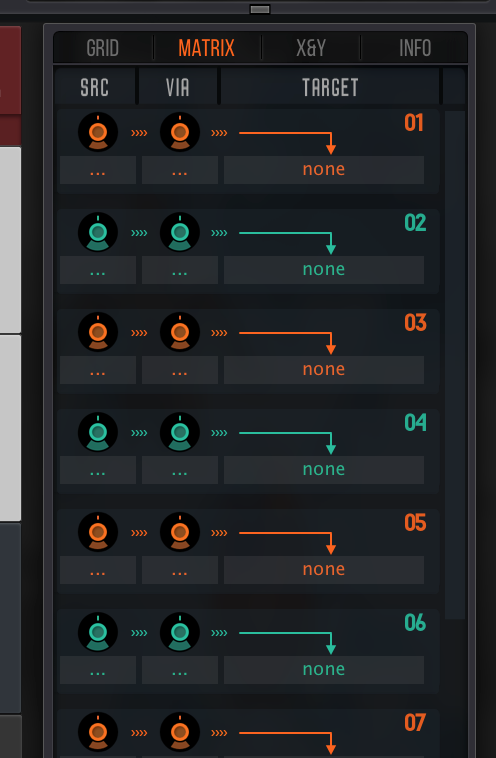 This is one of the limitation of U-he’s current theming system : No global modules like this is allowed to exist. The only solution is to combine this Diva module with another and behave as one. So I decided to put it into ENV1. I believe, in 99.9% situations ENV1 is used. and mostly stays on top. So now two as one. In Crystal HZ, Diva module is united. In Platinum and Platinum HZ, VCircuit module is united. If you move ENV1, the other one will move, too. Then, where’s diva modules in Platinum HZ? →I put “HZ toggle” on the top bar. click to activate. When HZ is ON, the right rack is replaced by the HZ contents. I’m still wondering if it’s the best way…….